GRAY WOLF ISLAND is expected to be released October 10, 2017. 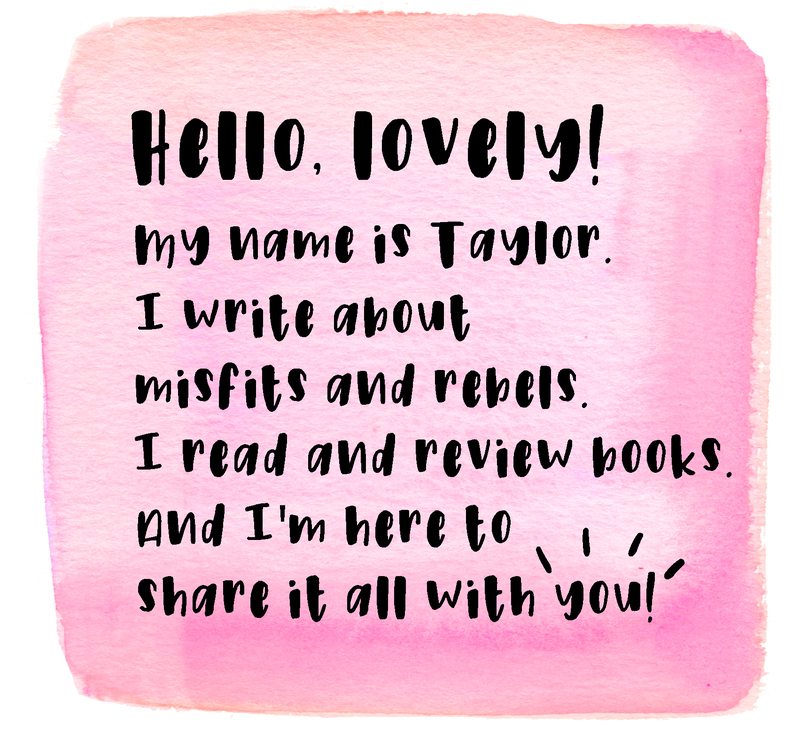 Taylor: Welcome, Tracey! Thank you so much for taking the time answer my questions. To start off, tell us a little about your debut novel, GRAY WOLF ISLAND. Tracey: GRAY WOLF ISLAND is about five teens who set out for a mysterious island off the coast of their Maine town with hopes of discovering a legendary treasure said to be buried there. Here’s what they know: The island demands three deaths, and so far it’s only had two. Here’s what they don’t know: The island is also hungry for their secrets. T: When did the idea for GRAY WOLF ISLAND first strike you? Tracey: The idea came to me in two distinct stages: First, while I was watching STAND BY ME. There’s a part in the movie where Gordie and Chris are having a heart-to-heart about stolen money, judgmental adults, and what it means to never be given a chance. It’s a pretty deep and emotional conversation for a couple of boys who also found themselves highly amused at a story of mass puking. I’d been wanting to write a book about friendship, but it wasn’t until that very moment that I knew the sort of friendship story I wanted to tell. The deep, important friendships formed in GRAY WOLF ISLAND were inspired by that moment between those two boys. I’d decided to send a group of teens on a treasure hunt, but I hadn’t thought any further about it until my husband started watching THE CURSE OF OAK ISLAND. It’s a History Channel show about a real-life island off the coast of Nova Scotia, its seemingly endless pit, and the treasure legend says is buried there. It all clicked at that point. I had a treasure hunt, and now I had a treasure island. T: GRAY WOLF ISLAND has this perfect blend of adventure and mystery while still maintaining a lot of character depth. How did you manage to juggle all these aspects to make a cohesive piece? Tracey: Thank you—I’m glad you think it worked! From the very beginning, I knew this wouldn’t be a pulse-pounding, nonstop action adventure. It was always about the characters for me—their friendships, their secrets, their growth throughout the book. Because that was my focus, I naturally wrote the adventure as a vehicle for bringing about all of those changes. In fact, I had to go back and beef up a lot of the action and plot-related elements during revision. The mystery was a different story. I planned for that from the very beginning—and I needed to, if I wanted to tie it to my characters’ growth, their secrets, and the plot. One thing I realized while planning this story was that all of my wish-list story elements—mystery, magic, hidden treasure, the truth, and lies—felt disconnected on their own. I needed to weave them all together in order to deepen the story and the characters. T: How long was your writing process for this particular manuscript? Tracey: About two centuries, give or take a few months. The words came slowly. I couldn’t silence my inner editor. I doubted myself the entire way. I’ve since learned this is just my process (I’m currently snail-crawling my way through my next book), but at the time, I thought something was wrong with me. Until it came time for revision, which was a total breeze. T: As I mentioned earlier, I really admire the amount of character depth in GRAY WOLF ISLAND. What is your method in constructing characters? Tracey: Thank you! It was something I tackled very deliberately and in detail. I envisioned this book as a very character-driven treasure hunt, and I wanted each side character to feel as real and important as the two point-of-view characters. Whenever I start a new novel, I create character sheets for all of my main and side characters. I’ve seen a lot of character-building worksheets that ask detailed questions like your character’s favorite color and movie and ice cream flavor. But to me, those details don’t really matter at the start of a first draft, and you can make them up as you go along. I like to fill my character sheet with the things that impact who the character is deep down. What are their flaws? What are their internal and external conflicts? What do they want most of all? And what might they not want but truly need most of all? I also like to give each of my characters a secret. Those played a major role in GRAY WOLF ISLAND, but even if they never come to light, they can help deepen a character. The process is a lot like brainstorming a main character, which is sort of the point. If you think of your side characters as the main character of their own stories, they’ll feel richer. So I give mine their own character arcs and let them deal with either an internal or external problem throughout the book. The focus will still be on the main plot and character, but by allotting time to deal with the side character’s issues—say, Charlie’s struggle with his predicted death or [spoiler for the rest of the characters]—they feel like more than caricatures there for the sake of the plot or the main character’s growth. They become real people dealing with real problems that happen to tie into the main character’s journey. T: What are your must-haves while writing? Tracey: Technically all I really need is my laptop. Technically. 1. When I really want to procrastinate—I mean, indulge myself—I’ll put on a sheet mask before a writing session. 3. I despise mornings and only wake before noon for work—and only then because it pays the bills. I’m a phenomenal night owl, though. Because I do most of my writing in the wee hours of the night, my drinks of choice are water and decaf green tea. On weekends, though, I’ll write in the afternoon and down an unhealthy number of lattes. 4. Probably the most essential of all is the Brainwaves app on my phone. It uses sounds to induce various brainwaves that, in turn, put you in a given state of mind. I know: It sounds like make-believe. But I’ve been using the Brainwaves Creativity setting while writing, and I find it really does make a difference! T: Another thing I admired in your novel is the way you subtly touched upon PTSD. What was it like for you to take this step and write about this topic? Tracey: This question is so incredibly hard to answer without spoilers, so pardon the vague response. This wasn’t something I initially planned for, though I knew several characters would be struggling with things that happened in their pasts. Part of what I wanted for GRAY WOLF ISLAND was to contrast the magical aspects (a girl who never sleeps! a boy born to a virgin!) with stark reality. The book deals with some really difficult topics through a few of the teens’ secrets. The inclusion of PTSD felt similar—very real to our world amid events that are almost otherworldly. There were a couple other reasons I took this step, related to the eventual outcome of this storyline, but I can’t seem to explain them without major spoilers! 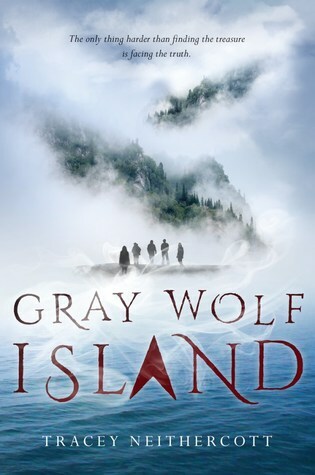 T: As an aspiring author myself, I would love to know how was the querying process for GRAY WOLF ISLAND? Tracey: There wasn’t one! I was a few chapters into the first draft of GRAY WOLF ISLAND when I got my agent with another novel. 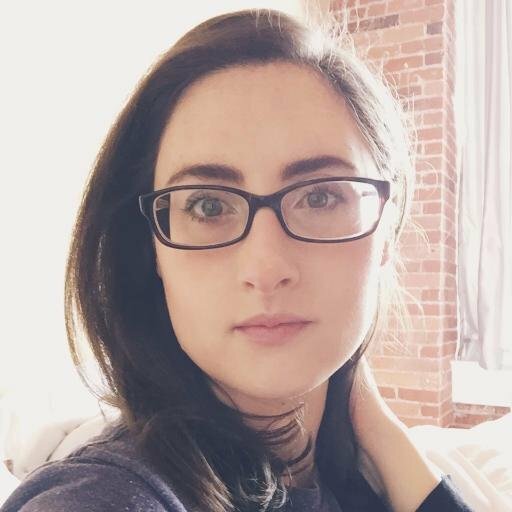 I first met my agent, Sarah LaPolla, through an online contest. I’d entered my first novel, and she requested pages. She ultimately passed (as she should have) but said she liked my writing and wanted to see my next project. I had that first project out with about ten agents at the time, but to keep my sanity, I started something new: THE MURDER MYTH. A chapter in, I knew it was infinitely better than the book I was querying. I had a choice: send out another batch of queries or ready the new book for querying. It came down to this: When I thought about which book I wanted to debut with, it was THE MURDER MYTH. So I quit. I didn’t send out any more queries for the first and focused on the second. That’s the book that landed me my agent. We sent that out to a bunch of editors, but by the time Sarah was ready to send to a second round of editors, I was far enough into GRAY WOLF ISLAND that I knew it was infinitely better than the others. So I quit. Or maybe I just followed my gut. I asked Sarah to skip sending THE MURDER MYTH to a second round of editors, and instead we focused on GRAY WOLF ISLAND. Maybe THE MURDER MYTH would have eventually sold. Maybe GRAY WOLF ISLAND could have been my second novel. But in the end, I’m glad this is the book I’m debuting with. T: I know this is a tough question, but I have to ask: who is your favorite character of GRAY WOLF ISLAND? Tracey: I can’t pick! I love them all for different reasons. Ruby, of course, has my heart: her devotion to her sister, her stubbornness, and her growth. But I also love Anne for her ability to see the good in people, Charlie and his adventurous attitude, Gabe’s desperation for change, and Elliot because though he’s prickly, he’s curious, smart, and full of heart. Sometimes, though, I think my favorite of all is Doris. I cracked up the entire time I was writing her. T: Who inspires you most, creatively speaking? Tracey: I find inspiration all over the place: music, movies, TV, books. Even real life—a person I encounter or a snippet of conversation I hear. But when I’m in a creative funk and need tried-and-true inspiration, I’ll reread one of my favorite books, like JELLICOE ROAD, BONE GAP, or THE SCORPIO RACES. T: In GRAY WOLF ISLAND, you use TREASURE ISLAND as this staple force that moves the plot forward. What inspired you to use this particular book as such a major part of your story? Tracey: I think it’s mostly me winking at the reader. At the same time—and I’m going to have to get vague here to avoid spoilers—it seemed the person who created the treasure map would find it particularly funny to hide the Gray Wolf Island treasure in a book about another island and another treasure. T: Do you currently have any projects in the works? Tracey: I do! The project I mentioned above—the one coming along at a snail’s pace—is another contemporary novel with bits of fantasy. I’ve been referring to it as Rumpelstiltskin, if Maleficent was the miller’s daughter. I can’t say much more at this point, but it has so many things I adore: mysteries and riddles, people with strange and wondrous abilities, a villain I can’t help but love, and a heroine who’s definitely evil. T: Lastly, what is your advice to fellow writers and creatives? Tracey: My greatest struggles as a writer are with doubt and fear. While drafting, I’m plagued with them. I tell myself my story is a mess, my characters are flat, the setting weak, and the twists and turns predictable. I tell myself all of those awful things and more because I doubt my abilities and fear failure. I constantly have to remind myself of a quote I once heard: Don’t compare your beginning to someone else’s end. I can’t compare my first draft to finished books that have gone through rounds and rounds of revision. Another helpful reminder I often tell myself: Unfinished books don’t get published. I had so much fun writing up these questions and reading Tracey’s answers, which I think we can all admit are amazing. As a writer who struggles with pacing and is constantly distracted by their cuticles as well (they’re right there, so how can you not notice? ), it was so inspiring to read Tracey’s answers. I loved hearing the processes she went through in writing this novel and getting to the place of a published author. Also her WIP sounds INCREDIBLE and I want it. I hope you fellow writers and creatives enjoyed this Q&A as much as I did and come away from this feeling hopeful and/or inspired. And of course, be sure to check out the release of Tracey’s debut novel GRAY WOLF ISLAND. You can pre-order it with one of the links found above!